Chocolate & Beer Tasting in Brussels - FAQ - Find your answer here ! Nothing special, be ready to have fun and taste amazing beers and chocolate during a bit over one hour! Where does the taking take place? The beer and chocolate tasting takes place at our private workshop located right by the Grand Place of Brussels (also the meeting point). No, but we accept guests from 16 years old if an adult is coming along. 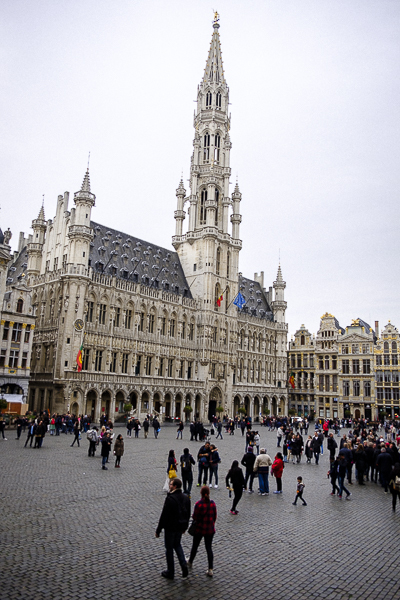 The meeting point is located on Brussels Grand Place, on the right side of the tallest white tower of the square. We will go from there to our private workshop, located just around the corner. At the moment this tour is not wheelchair accessible.